Happy Inclusive Schools Week to our regular blog readers and first-time visitors alike! We’d like to start today’s post by thanking every inclusive educator for the tireless and creative work you do to make sure all learners are welcomed and included in your classroom. We recognize all the tasks you juggle every day—from teaching lessons that meet diverse needs to grading tests and assignments to supporting positive behavior to reading up on best practices—and we’re in awe of your talent and dedication. Create a welcoming classroom community. Create a welcoming classroom environment in which all students feel like valued members. Invite a new student and his or her parents to come for a school tour and classroom visit. If possible, assign the student a desk and personalize it with his or her name. Point out the dif­ferent classroom areas and describe their purpose. Following the student’s lead, do a short activity together, such as reading a book, watching a DVD, or doing some artwork. If you are a high school educator and know that the student will be going to several classrooms every day, then arrange the visit so that the student can do a trial run of going from class to class according to his or her schedule. If you are a preschool educator, then show the student where all the centers are, point out the bathroom, and play on the play­ground for a little while. If you are an educator who works with students during the transition years—when they are ages 18–21—then spend a day helping the student become acclimated to a future jobsite or practice riding public transportation. 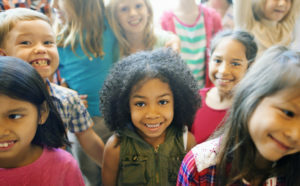 Make sure the student has all the symbols of belonging that other stu­dents do, such as assigning him or her a cubby or locker and having his or her name called during attendance. We were working with a team of educators, and we asked them to describe Micah, a student who has a disability and is educated in an inclusive setting. They shared their descriptors of Micah as engaging, stubborn, easily frustrated, a gifted singer, and having cerebral palsy. These descriptions speak to the team’s beliefs about the student. Think of a student in your life. On a piece of paper, write down the first 10 descriptors that come to mind when you think of that student. Now, look over the list. Were your descriptors positive, negative, or a combination? Your beliefs about a student will affect how you educate, support, and work with that student. For example, if you believe a student is lazy or defiant, you will approach him or her in a different way than you will if you believe that student is motivated or cooperative. You can alter your beliefs about students by spending some time rethinking them. One of the best ways to think about the students you support is to look through the lens of his or her strengths. Ask yourself the following questions: “What can this student do?” “What are this person’s talents?” “What are this person’s strengths?” “How would a parent who deeply loves this student speak about him or her?” Now, return to your list and take a moment to develop a list of strengths, gifts, and interests. As Jason’s story illustrates, peer support is an essential part of inclusive schooling. In some cases, students succeed in supporting other students or helping them achieve when teachers cannot. Often, peers will learn quite naturally how to support a friend with autism. They will know how to calm, teach, and encourage a classmate without any direction or interference from adults. In addition, peers are valuable resources because they tend to understand each other in ways authority figures or adults do not. Students know each other’s secrets and fears. They often recognize each other’s needs and gifts in ways not seen by teachers. This type of help and mutual support is great preparation for adult life for both or all participants. Make learning active and participatory. I’ve heard teachers say, “A student with disabilities wouldn’t get a lot out of being in that class, because the teacher does a lot of large-group lectures, worksheets, and paper-and-pencil tests.” My first reaction is, “You’re right, it doesn’t sound like that situation matches the needs of the student with disabilities.” This leaves me wondering how many students who don’t have disability labels would find this kind of educational situation a mismatch. Educators are increasingly questioning whether class lessons that are too frequently large-group, passive, and didactic really meet the needs of very many students. Activity-based learning is well suited to including learners with a wide range of educational needs and learning styles. One of the gifts that students with disabilities can bring to the classroom is to highlight the need to use more active, participatory, creative approaches to learning. 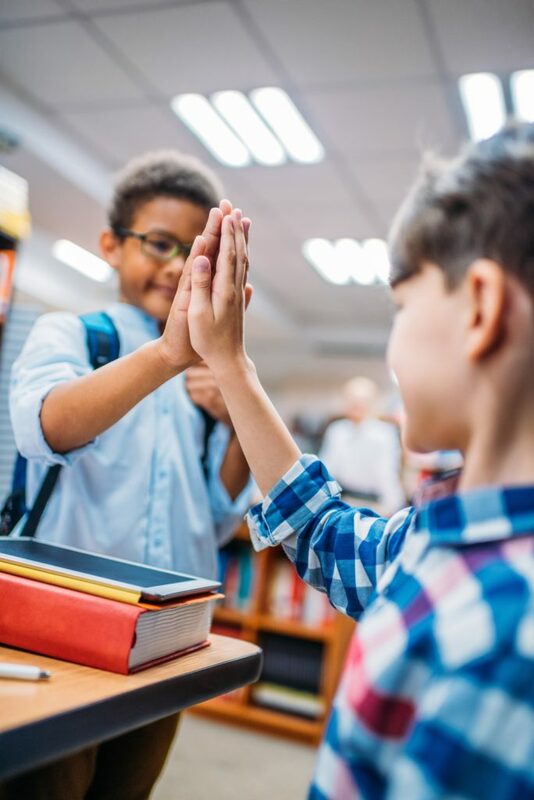 In the process of increasing the amount of activity and participation to accommodate the needs of a student with disabilities, teachers often realize that these approaches are motivating, preferred, and effective for many other students in the class who don’t have disability labels. Increasing activity and participation can include a wide range of options, such as individual or cooperative projects, drama, experiments, field study, art media, computers, research, educational games, multimedia, various forms of choral responding, and many others. Exemplary practices in general education are often highly compatible with the inclusion of students with disabilities, because such approaches stress active engagement and individualization. Don’t forget to make events inclusive, too. 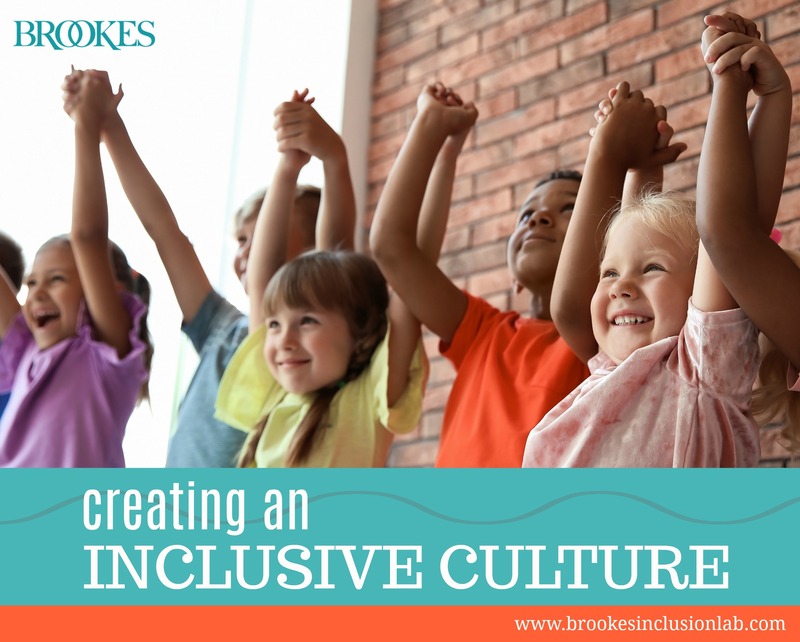 A school can support inclusive culture through the schoolwide opportunities and activities it provides for its students. In an inclusive school, events and activities appeal to a diverse group of students and are made accessible to everyone. 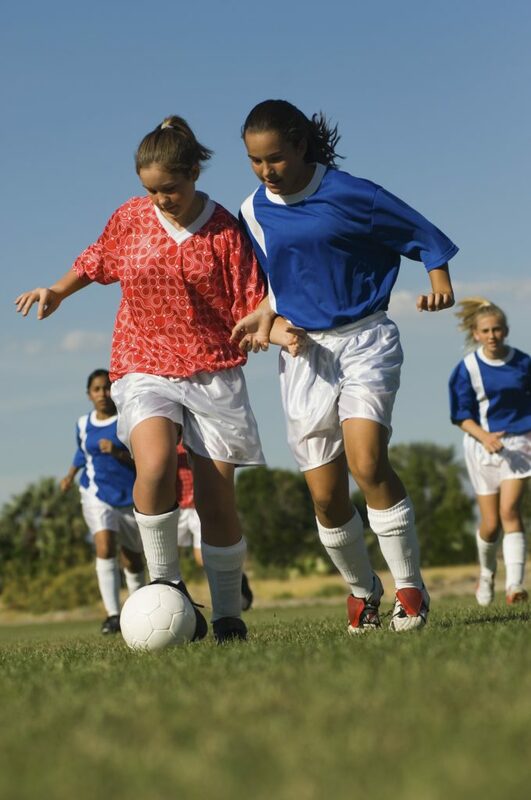 Extracurricular clubs and sports team practices are offered at different times of the day to allow for greater student attendance (students who ride the bus home after school often miss out on after-school activities). In addition, school personnel ensure that events are accessible. At one school where I worked, the year is kicked off with a schoolwide bowling party at the local bowling alley. Although the majority of the students walked to the bowling alley, the principal arranged transportation for students who had mobility issues. The types of clubs and sports teams are also taken into consideration at an inclusive school. Both academic and nonacademic clubs and teams are created to appeal to various student interests. A variety of activities should be offered and available to all students, such as science night, band performances, and art shows. Also, some school events should be tailored to include families. Value and connect with all families. For teachers to ensure that students feel welcome in school, and that school is a place that will help them learn and be successful, they must feel that who they are and where they come from is valued. Too often, students do not feel this way. Your task is to address this by getting to know students and their families. Getting to know students and their families means accepting and embracing extended family as part of the family. Some children are raised by a community of family: parents, grandparents, aunts, uncles, and cousins. We would like you to consider that it can be a wonderful thing for a child to have many adults who love and care for them, not a sad situation when a child lives with more than one family member at different times. Send a postcard home before the start of the school year, welcoming each student. Greet families outside the school as they come in. For Open House night, send personalized invitations to each family. Start a math-games night every quarter to teach families about the games you use for math. Ask family members how they would like to be a part of the classroom community. Which of these strategies will you be working on in the new year? Are there other inclusion strategies we can help you with? Let us know what you need in the comments below! Have you printed your free inclusive education calendar yet? You can get it at the link below. 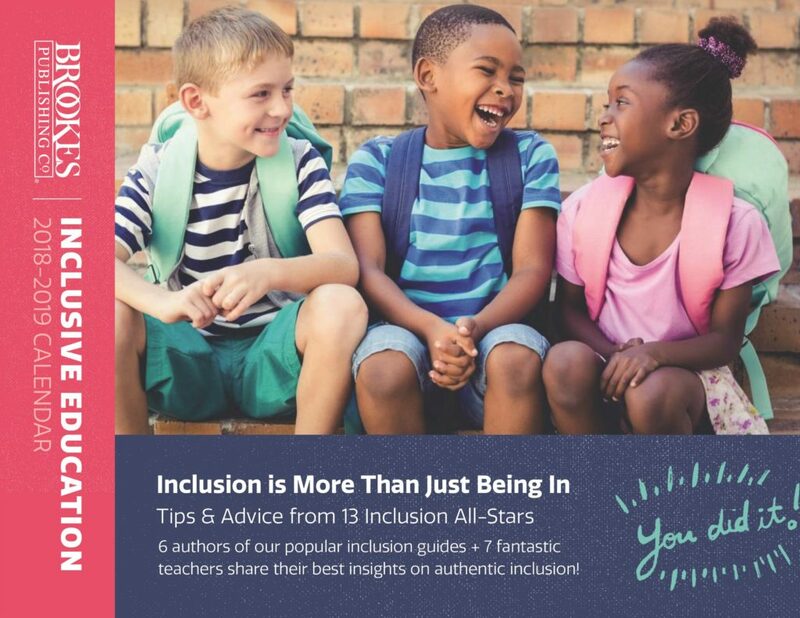 Hang it up and keep it close by all year for inspiring tips and thoughts from some real “inclusion all-stars”!